Tilak Healthcare – a start-up from the iBionext network developing medical video games for both the diagnosis and follow-up of chronic diseases, – structures itself and announces the appointment of Edouard Gasser as Chief Executive Officer. Previously Studio Director at Gameloft Madrid – a company developing and editing videogames –, Edouard Gasser will be leading the Tilak Healthcare team, alongside Dr. Serge Fitoussi specialised in the development of pharmaceutical products. The alliance of digital innovation and clinical expertise, unique in the therapeutics videogames world, will allow Tilak Healthcare to offer innovative screening, monitoring and follow-up solutions for many chronic diseases. 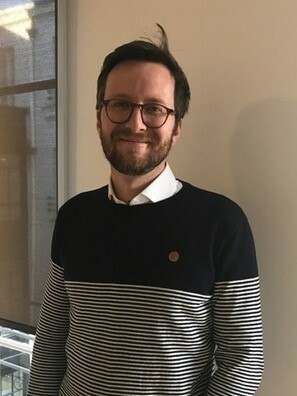 Before heading the Madrid Creation Studio, Edouard successively worked at Gameloft as Project Manager in Paris, then Lead Producer in New Orleans. He was also a writer for TechCrunch France, covering mobile apps, 2.0 web and entertainment topics. In 2011, he cofounded Productism, a social commerce website via social networks. Alexia Perouse, CEO of iBionext, commented: «We are glad to welcome Edouard, who will be heading the management of Tilak Healthcare. His arrival, coupled with the upcoming team recruitments, mark the end of Tilak Healthcare’s maturation phase within iBionext and the beginning of an acceleration phase aimed at spreading the platform to doctors and patients, in order to become the leader in the development of clinically valued “serious games”.